We will compare car hire prices in Australia for you, not only to get you the cheapest car hire in Australia but also the best deals. 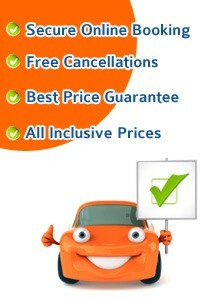 We provide discount quotes from Sixt, Eastcoast Car Rentals, Redspot, Acess , Thrifty, Europcar and many more. 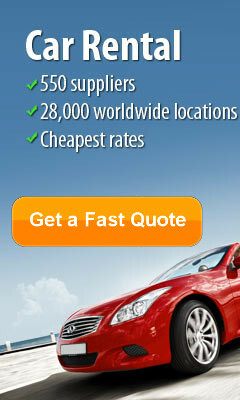 Take this opportunity to get the best car rental deals in Australia... CHEAPER. Australia with thousands of miles across, dotted with some of the world's most exciting cities as well as some of its most recognizable landmarks, Australia is a country of open roads and Outback as well as a nation that prides itself on its warm welcome and sense of fun. Airport Car Hire Network has a comprehensive network of competitively priced car hire companies throughout Australia which means that you are free to pick up and drop off your hire car at a destination of your choice. Whether you are planning on a road trip up the coast, from the sparkling city of Sydney to the sun-soaked sands of Brisbane and the historic city of Darwin in the north or down to the laidback 'city of churches', Adelaide, the Australian coast is lined with a string of cities all characterised by their upbeat atmosphere as well as their beautiful golden beaches and fantastic surf. For those in search of something a little more off the beaten track however, citycarrentals.com suggests you consider a carefully planned excursion into the Australian Outback. Featuring some of the most sparsely populated countryside in the world, the Outback is nevertheless home to some of the worlds most magnificent natural wonders. Who, for instance, could forget the sheer jaw-dropping majesty of witnessing the setting sun fall upon Ayers Rock, also known as Uluru, located in the Northern Territory? 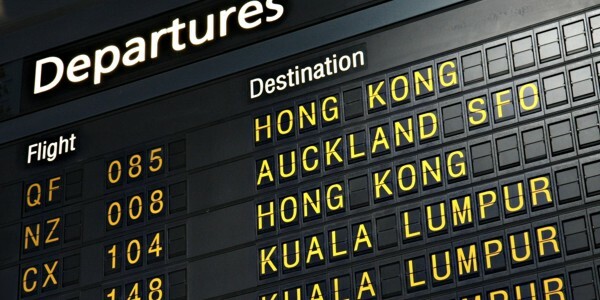 Due to the huge driving distances involved, Airport Car Hire Network is the only name to trust when booking affordable and, most importantly, reliable car hire for your big trip down under. Countless potential tourists from around the globe daydream about visiting the legendary country of Australia, yet the majority of these dreamers remain just that and never make the journey. If you are one of these people beaming with wanderlust, book it now as the opportunity to explore this gorgeous place may never arise again. As an independent continent with a smaller population, Australia exudes charisma and beauty beyond what one can imagine. Furthermore, many who make that journey for their much anticipated holiday do not explore the large territory and fully discover all of the extraordinary gems it has to offer. To squeeze the most travel out of your trip to the land down under, it is highly recommended to hire a car and research the best option online here before you ever leave home. For the most conclusive excursion, land in Cairns, pick up your rented traveling mobile, drive south to the Gold Coast where you can drop off your vehicle at the airport, then wrap up the most epic trip that you could possibly fathom by flying to the country’s largest city, Sydney. Located in the north western corner of Australia, Cairns and the ocean alongside it is home to the world renowned Great Barrier Reef, where you can scuba dive, snorkel, and sail among the biggest coral reef habitat on the entire planet. After conquering the awe-inspiring GBR, start your coastline expedition down to Airlie Beach, a quaint town with boutique shopping and fine-dining. Moreover, this location provides a marina where you can depart for the utterly divine the Whitsundays, a collection of preserved islands with one of the most ravishing beaches in the world (no exaggeration), Whitheaven Beach. Another noteworthy stop along the coast is Fraser Island, which can be accessed via Rainbow Beach. A popular manner of exploring the island is to join a 4x4 group that offers tours that last a few days and will cover everything you could possibly need while on the heritage site. As you camp on the islet, you are likely to see much Australia wildlife including cuddly koalas, adorable wallabies, and wily dingos. To complete your drive down, spend a couple days in the Gold Coast, where you can party like a rock star in the Vegas capital of Australia, Surfer’s Paradise, learn how to surf with the consistent stream of waves, and lounge on the squeaky clean beach that stretches 70 kilometers. Finally, what is a vacation to Australia without visiting the famous Sydney? Catch a quick in-country flight from the Gold Coast airport to Sydney before departing back to your home country. While this bustling metropolis has much to offer, the most favoured locations in the area include the well-known Sydney Opera House, Bondi Beach in high season (which spans from around October to March), China Town, and Manly Beach that can be accessed via a charming ferry ride from Circular Quay. With this unforgettable road trip under your belt, you’ll be able to claim you have truly made the most out of your Australian holiday. Very well pleased with our hire car not only did we get a great price and brand new car but all fantastic customer support. Booking our car with Airport Car Hire network made it a hassle free process. Thank you. - Peter Best / Wales.